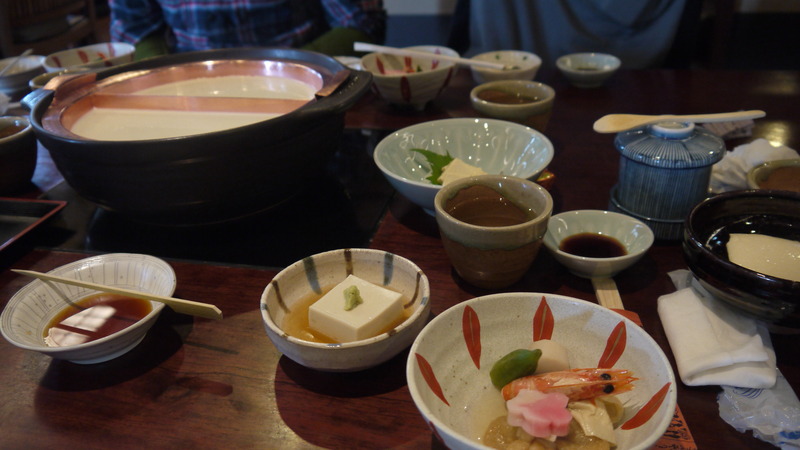 After hiking the Fushimi Inari Shrine, the group worked up an appetite for lunch. 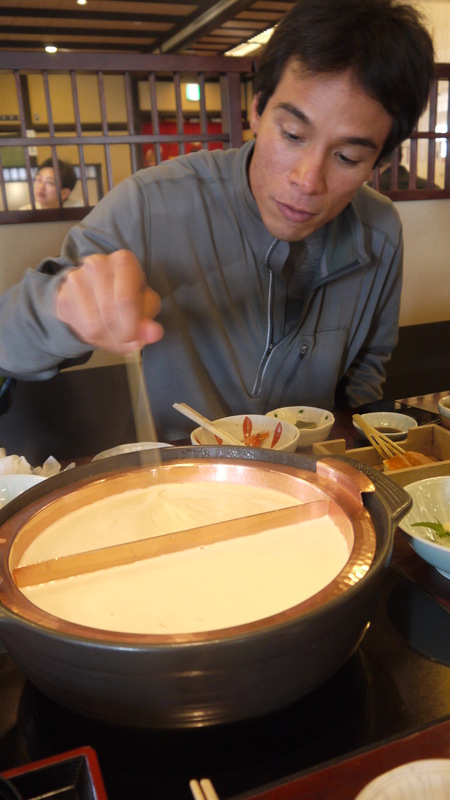 We decided to try another Kyoto cuisine, tofu! 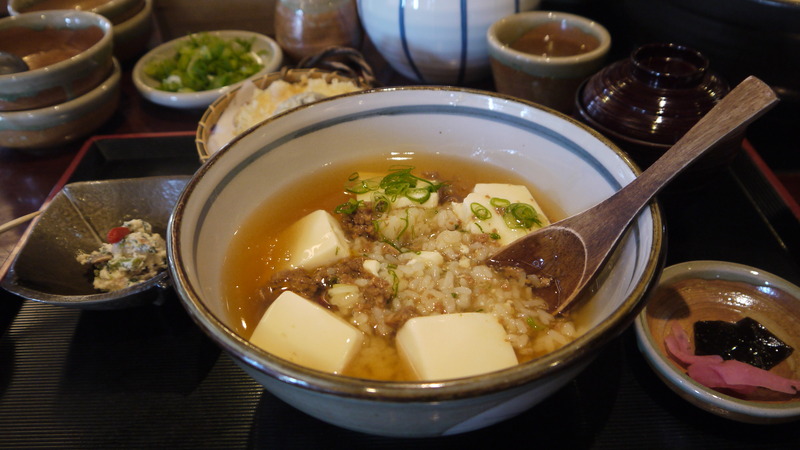 Since the JR line does not extend to the Gion district, we decided to take a taxi to the restaurant and spend the rest of the day exploring Gion. 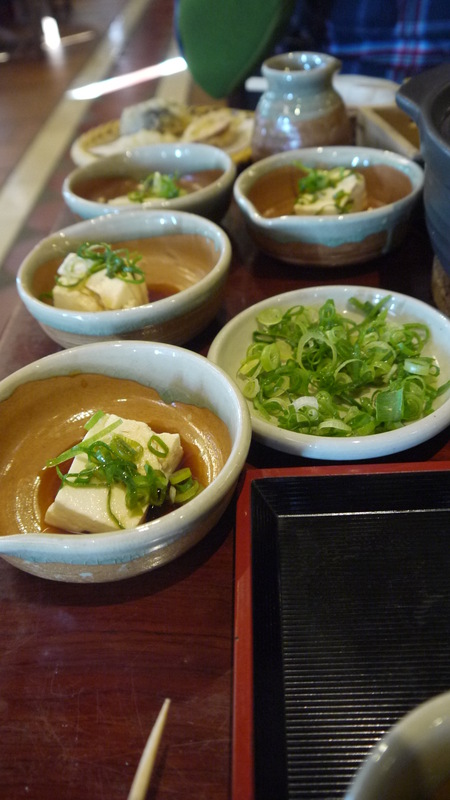 The restaurant was filled with different variety of tofu, whether it’s tofu skin, fresh tofu or tofu rice, they have it all! 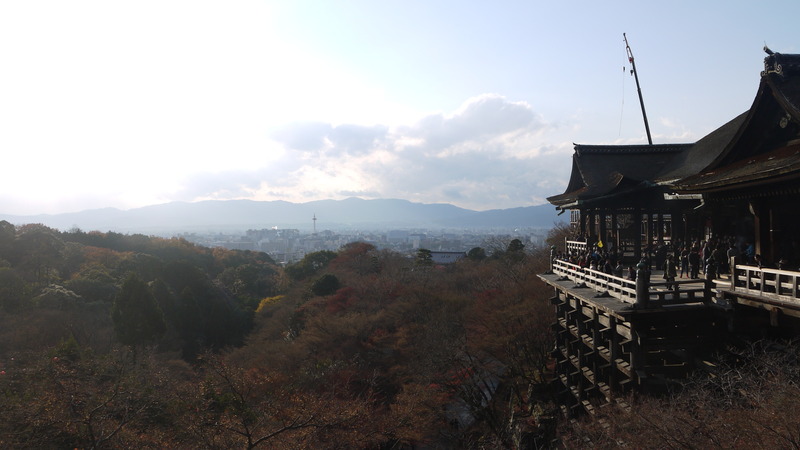 To walk off our lunch, we decided to tour the Kiyomizu-dera temple within the Gion district. The temple was crowded with foreign visitors, school children and regular worshipers. The entrance fee was $3, we bought a ticket and followed the crowd of tourist toward the temple. 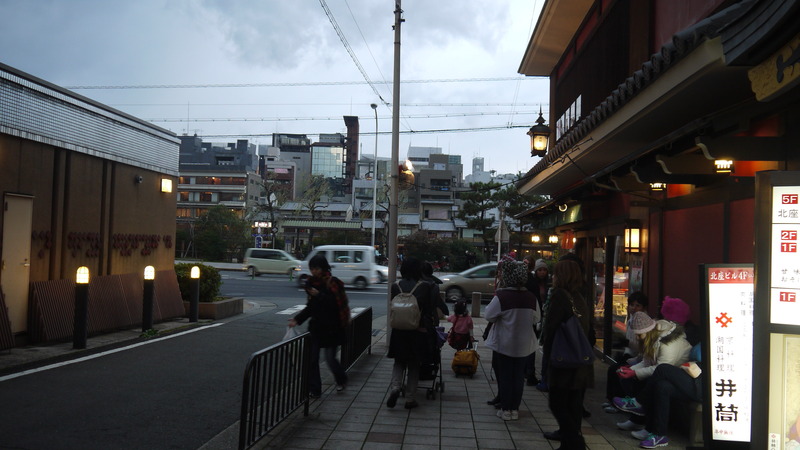 Most visitors coming to Gion district knows the area is known for its geikos(geisha) and maikos (geisha in training). Do not get too excited about the maikos you see taking a leisure stroll during the day in Gion, they are mostly foreigners dressing up for the day for a full experience of Gion. If you listen closely, most of them speak Chinese! 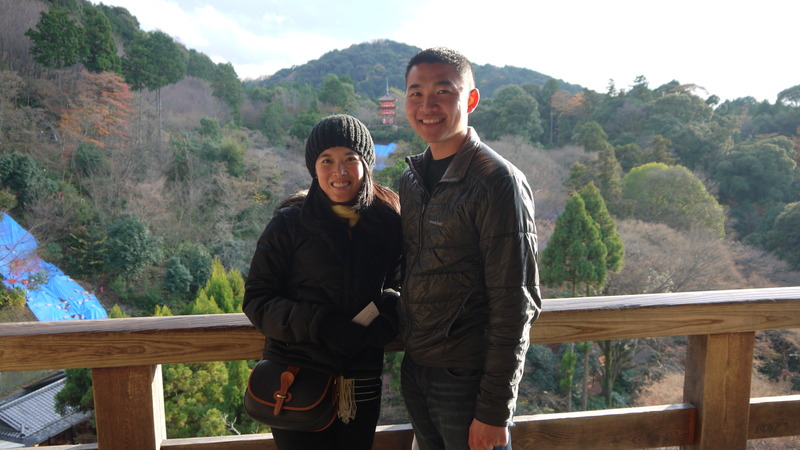 We saw a few at the Kiyomizu-dera temple and found the women very entertaining and the dressed up men looking miserable. 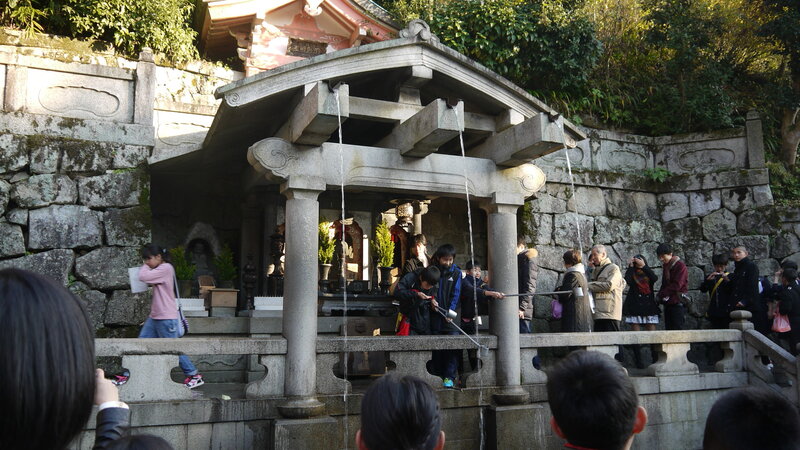 Worshipers lining up to catch water from the Otowa waterfall, which comes down the mountain in three separate streams. The water is believed to have special powers to grant wishes. 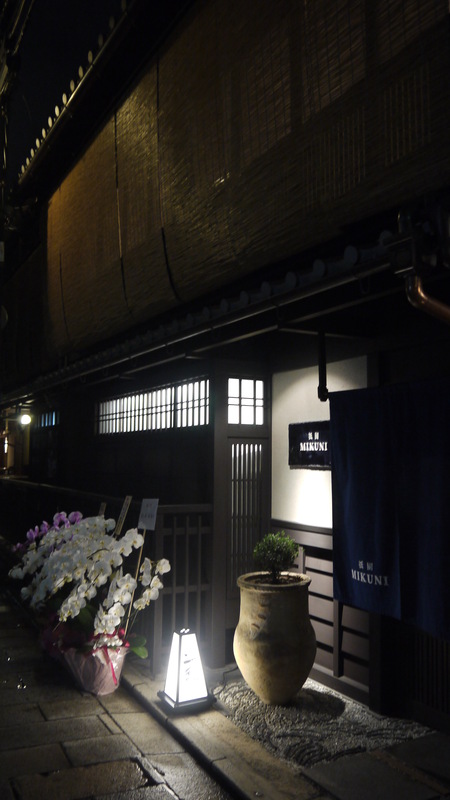 To conclude our day in Gion, we found a walking tour held by the Kyoto City Tourist Association. No reservation is required for the walking tour. The tour takes place every Monday, Wednesday and Friday at 5PM, see link at the end of this article for additional information. 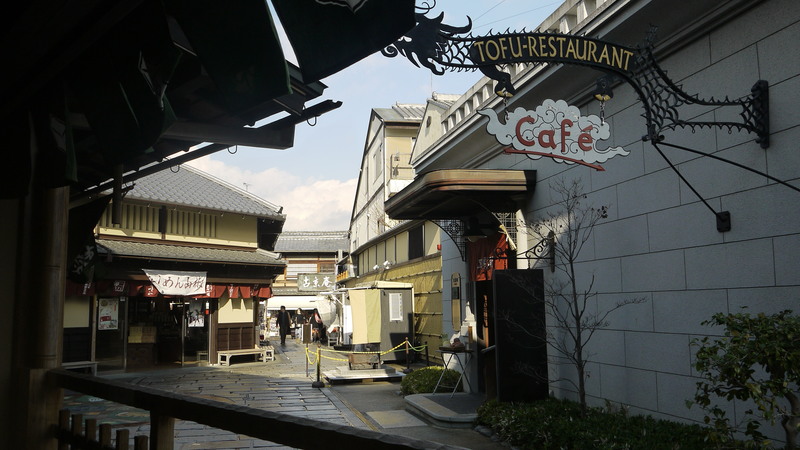 The meeting place is at Gion Kitaza, be sure to bring 1,000 yen ($10) per person in cash with you for the tour and wear plenty of warm clothes in the winter time, we were FREEZING! The entire tour takes about an hour and a half, the English tour guide walks the tour group around Gion to talk about the history of gekos, maikos and their life styles. We learned a lot about these mysterious women, and the tour guide cleared up some misconceptions westerns have about gekos or geishas, thanks to the Hollywood movie, Memoirs of a Geisha. 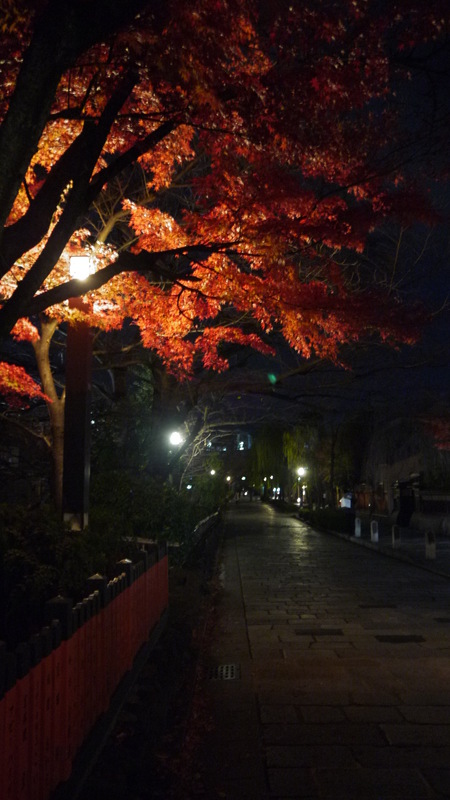 Streets of Gion at night, Louis was excited because this is a part of the track in Grand Tourismo 5! Tea houses where maikos and geikos entertain. The tea houses can be very exclusive and allow only regular guests to come. According to our tour guides, geikos are even a exotic to Japanese people because their entertainment services are not affordable. 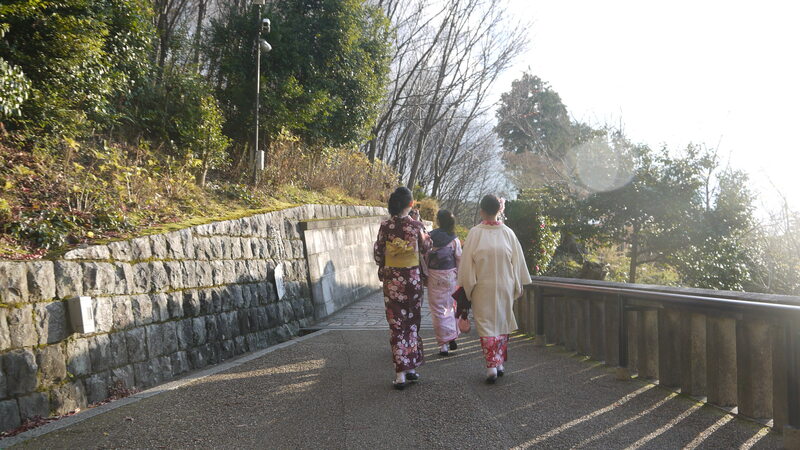 According to the tour guide, maikos are apprentices of geishas. They are usually teenage girls who are aspiring geikos. They live in boarding houses like the one in the photo below, their daily expenses and education are paid by their boarding house. While geishas earn quite a bit of income, most of the maikos earnings go towards their education and expenses. They wear more elaborate kimonos and hair pieces while the geikos wear plainer kimonos and less makeup. 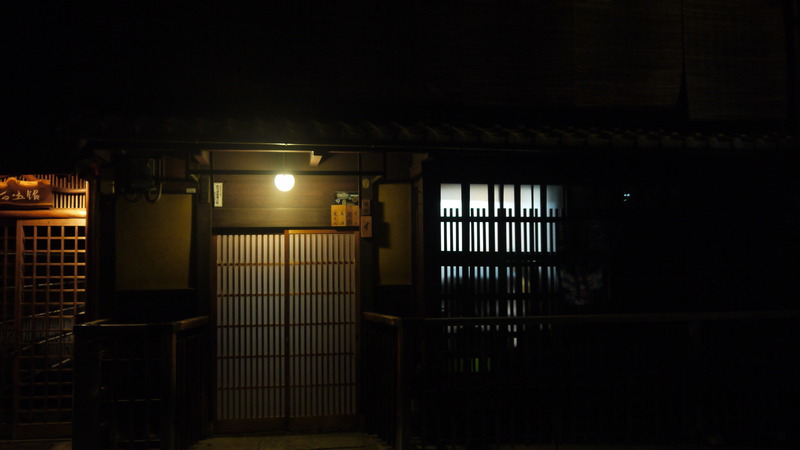 Below is a photo of a house where maikos are living in. 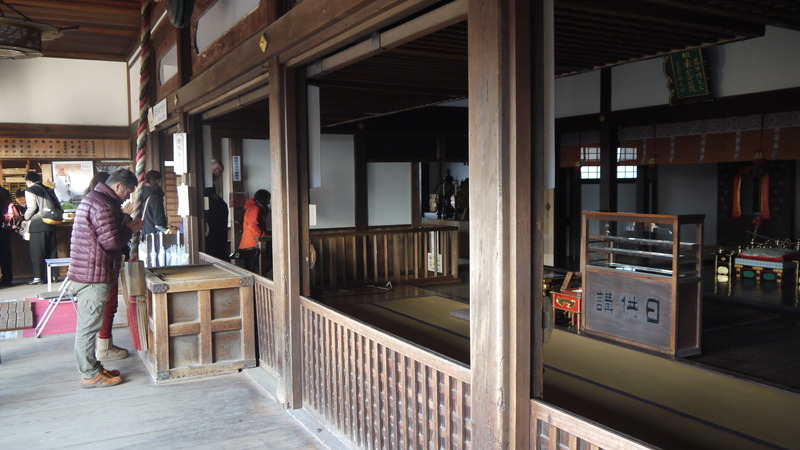 The plaques on the upper right side of the door indicate each maikos names. 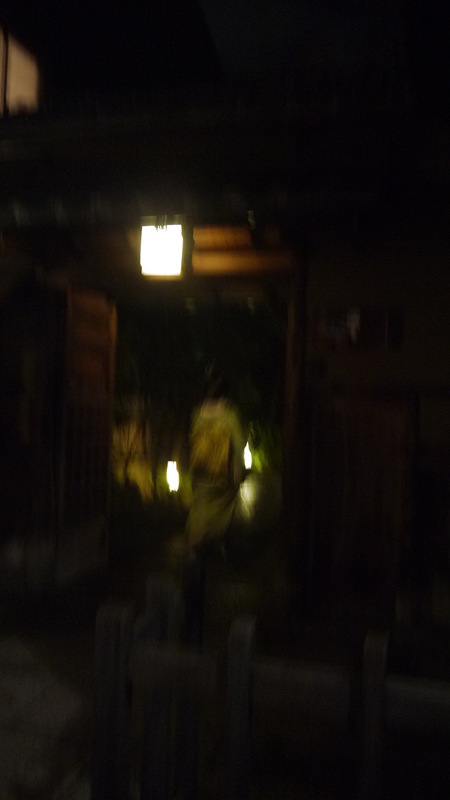 This entry was posted in Travels and tagged asia, food, geisha, gion, Japan, Kyoto, maiko, tofu, Travel by hikenoworklater. Bookmark the permalink.